designboom marts are staged at design festivals around the world, in places such as New York, Tokyo and Seoul. 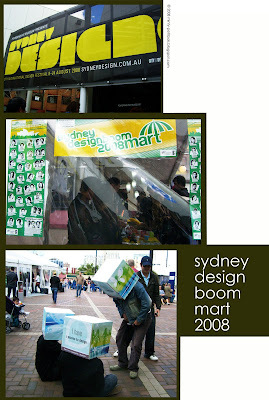 This year, for the first time, there was a mart in Sydney at the Powerhouse Museum, as part of the 12th International Sydney Design Festival. The marts are kind of like an upmarket market, showcasing the work of designers in the fields of lighting, furniture, ceramics, homewares, clothing and fabrics. Any shop at the end of an exhibition is a good shop, just point me in the right direction…. 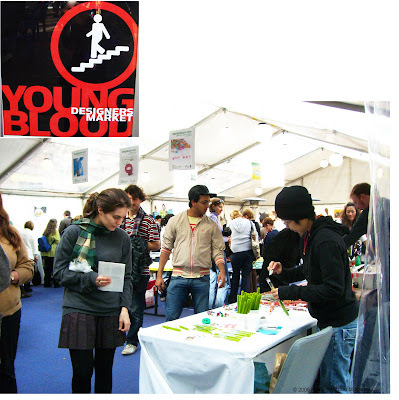 The range of goods for sale at the Sydney mart (promoted as Young Blood: Designers Market) was fantastic, quirky, beautifully designed and made. I picked up some things, and only my slender wallet stopped me from getting more. 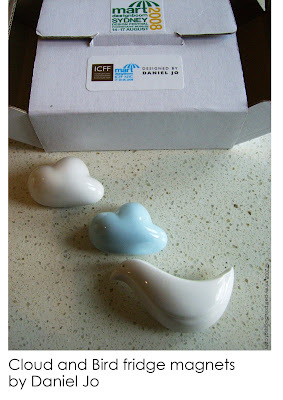 My favourites included these adorable magnets from Korean designer Daniel Jo. The range (called ‘Promise’) includes salt and pepper shakers and candle holders. 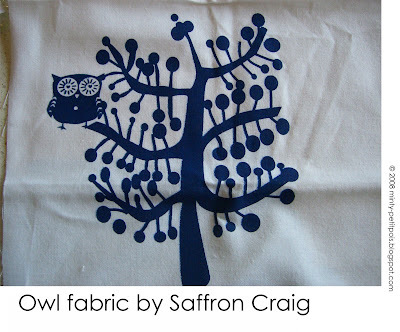 I also got a length of owl fabric by Saffron Craig. Not sure what to do with it since I don’t sew much/at all, but it’s too cute to pass up. Other things I got: some of the moss pencils (lead pencils covered in green ‘moss’) and a black acrylic table centrepiece by Millicent and Frank – again not sure what to do with it, maybe use it as a wall hanging. Pictures later, when I put it up. 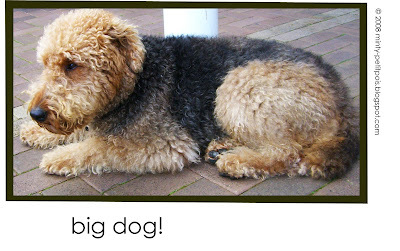 I also wanted this dog, but he was not for sale. I would've bought that owl fabric too, it's way too cute to pass up. Perhaps you could make it into the world's cutest teatowel?